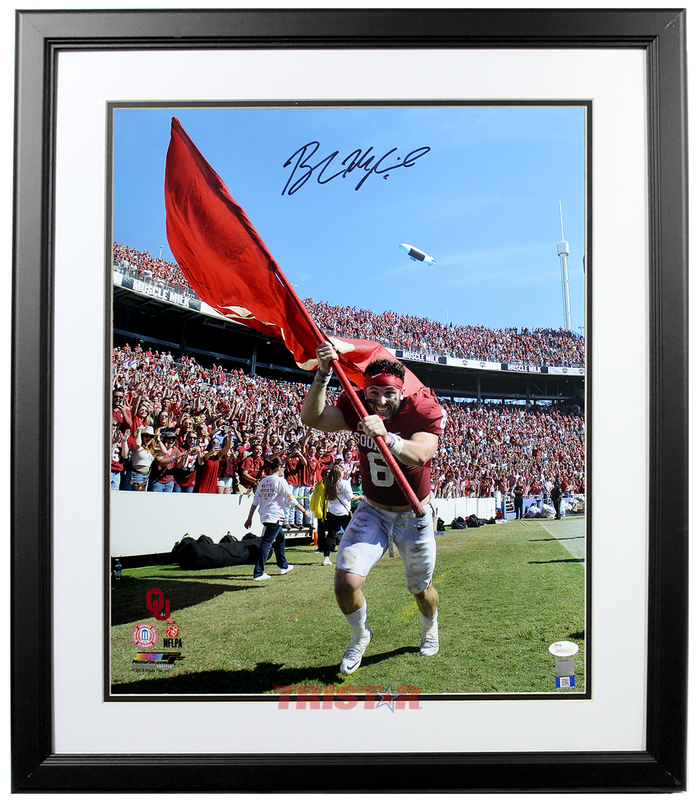 2017 Heisman Trophy winner Baker Mayfield has hand signed this Oklahoma Sooners 16x20 photo. This photo will be framed as pictured. Each autograph is guaranteed authentic, and includes an individually numbered TRISTAR Authentic hologram.